Leave your valentine a sweet message on Row Boat Press' (formerly Seattle Show Posters) “I love you because” framed print. 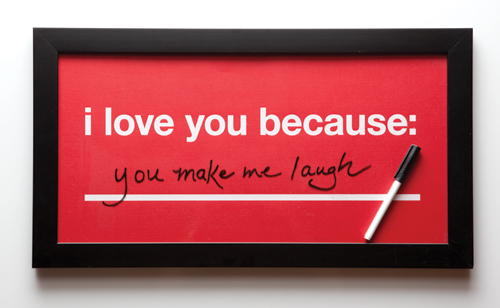 Scribble your sentiment of the moment on the glass-encased poster with a dry-erase pen, then wipe it away and recompose as many times as needed to cover why you heart your honey. $49 at rowboatpress.com. K.C.